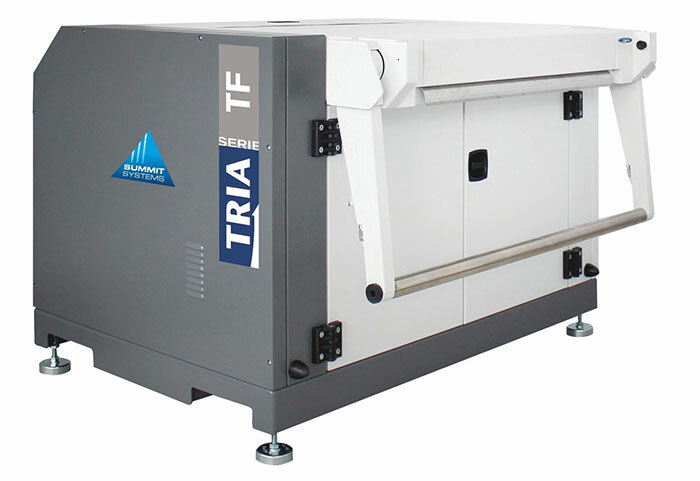 Summit Systems partnership with granulator specialists Tria fills a niche within the Summit Systems’ size reduction range for products specifically engineered for thermoforming, blow moulding, PET preform manufacture and edge trim closed loop processing. World class design for 50-4, 500kg/hr. For full sheet start-up, formed sheet and skeletal waste. 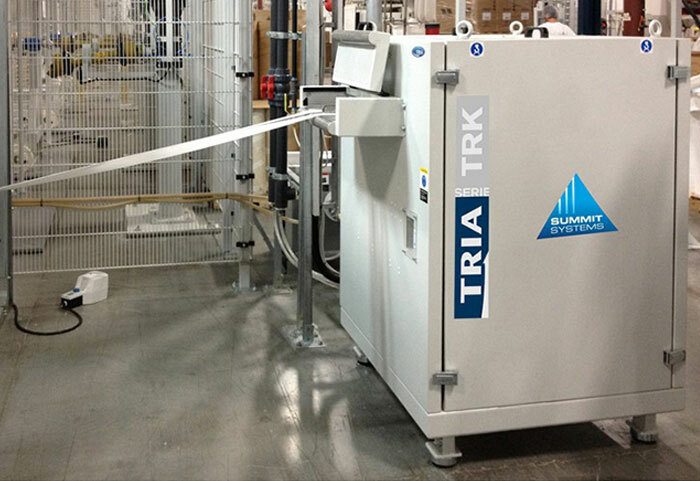 Complete system available for both film and sheet applications. 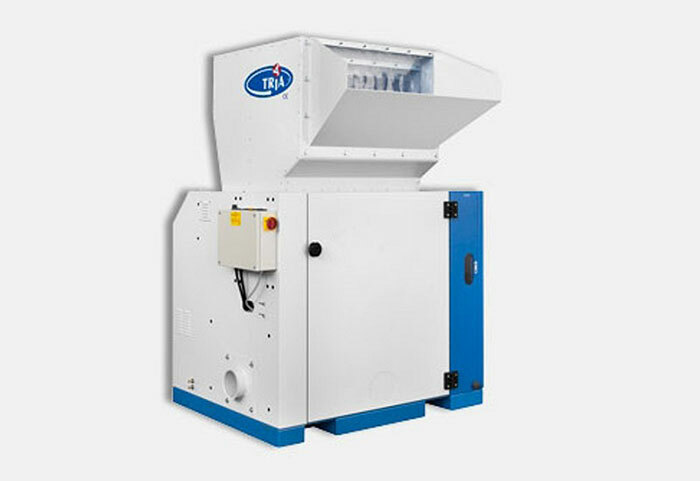 Low dust with full range of extraction systems available. 3, 5 or 7 knives rotor available. Full automation due to unique dancing arm, inverter control and traction units. Low energy due to unique cutting design. Screen with surface equal to 50% of knives rotation. 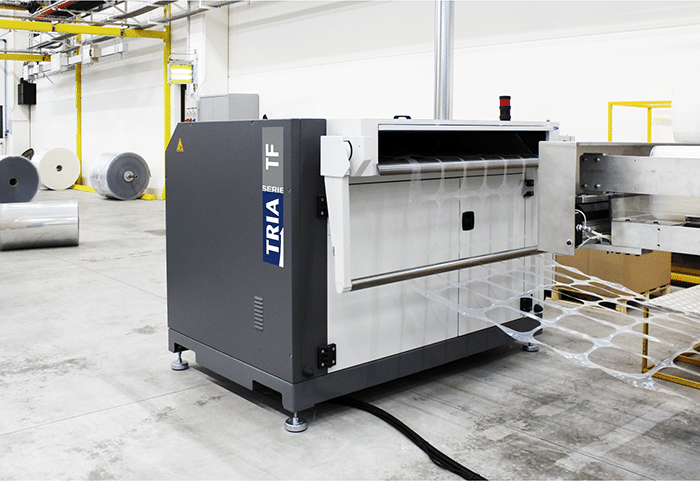 Stand-alone or integrated with machine.